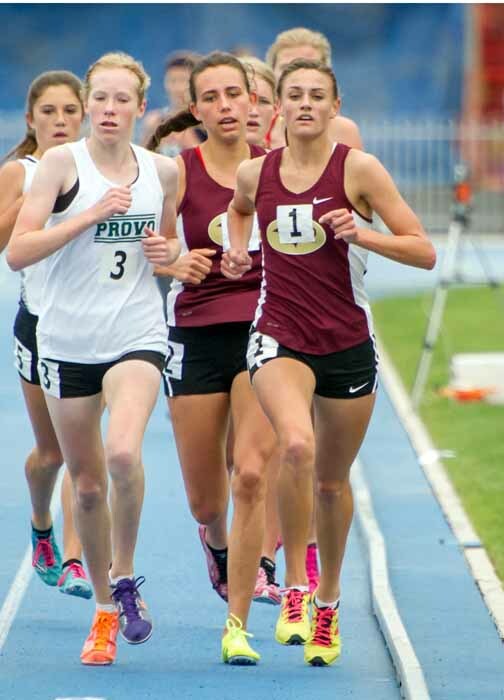 Coming off a state championship in the 1,600 meters at the 2015 4A state championships, Maple Mountain runner Britney Lund rolled into her senior year with huge expectations. Twelve months later, a frustrating year ended at the same Brigham Young University track, but this time Lund was there as a spectator, with a boot on her broken foot. She injured the foot running her favorite race, the 1,600, at a track meet a few weeks before her final chance at region and state titles. Her track coach, Darrell Wyatt has seen how adversity like she has endured during her senior year as changed Lund. Mostly, he has watched her come out on top despite the challenges she has faced. The challenges began during her sophomore year when it was illness, and not injury, that cost her part of the running season. She was in Ethiopia with her mother, doing humanitarian service. Being sick was somewhat of a setback for Lund, but as she has done all along the way, she focused on the positives of the situation. In this case, that goes back to what she learned while watching the people in Africa. Wyatt has watched Lund’s career develop. He’s enjoyed the successes and he’s seen the difficulties. While the wins were always the goal and clearly brought the happiness, he can appreciate what she learned when things didn’t go exactly as planned. It’s that last point, the role she plays as a leader, that impresses her coach the most. He is excited that she will be running collegiately at Brigham Young University beginning next year. Lund dabbled in other sports, particularly soccer, but she says she has always been a runner. Since that was her best skill on the soccer field, it makes sense that it became her biggest passion long-term. Lund’s sister is also a runner, but while Britney likes the challenge of the distance events, Baylee is more into the shorter distances. Britney believes she gets stronger as she goes. “I feel like I gain speed over time in races,” Britney said. “Sprinters, they’re just fast. I go out and gradually get my speed, and I like the mental part of it. As hard as it is, I like just being able to think a lot when I run. I like the mile, in track. I like cross country. I love all of it. “(At BYU) They want me to do steeple(chase), but we’ll see. I think they have everybody try it. Lund enjoys being part of the chase and she feels her greatest strength lies in her consistency. 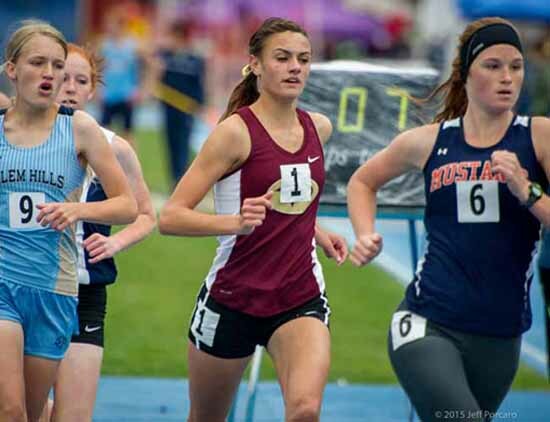 Perhaps her high school running experience wasn’t always easy for Britney Lund, but it was those ups and downs along with her ability to find joy not only in her own success, but in the success of everyone around her, that made her time at Maple Mountain special. Now, that steady approach has Lund as prepared as anyone to take her skills to the next level. She’s ready for whatever comes next.